In recent years, I've had a secret yearning to escape to Scandinavia. I joked about moving to a tiny cabin in Norway (maybe north of Tromsø) when I was shifting house. Aside from the cold climes which would be a relief from this blasted heat, I love the Nordic design aesthetics, social structures, and work-life balance. These countries have got it right - it's all about paring everything down to essentials: people you love and the quality of your daily life. Well, even if we can't move there, we can still practise what's important. Feeding yourself (and your loved ones) right, for one. I am glad to see there are more healthy options than the greasy carb-heavy fare that's too easy to resort to. Granted, they are not as cheap but health does come first. 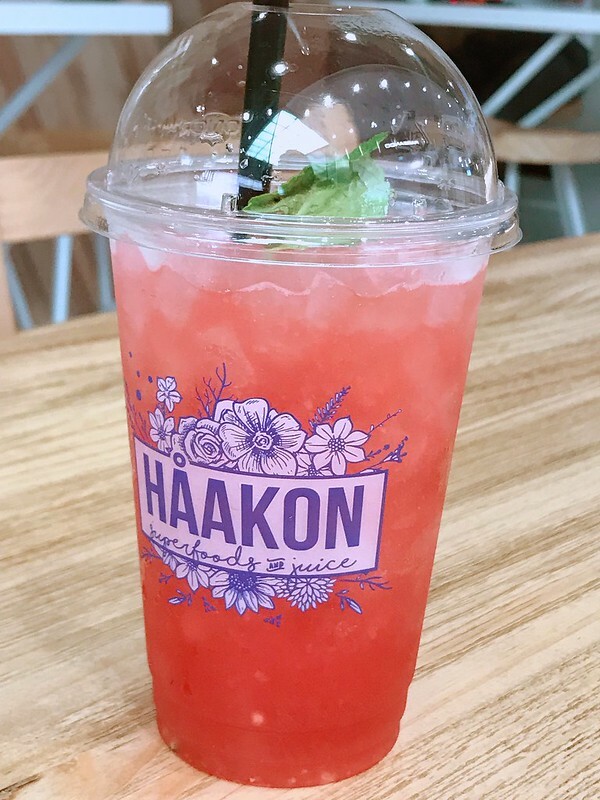 Håakon (pronounced "Hor-kon" with the å) is all about food made with wholesome, natural and nourishing ingredients. This Scandinavian themed cafe offers dishes jazzed up with superfood ingredients, acai bowls that could make other desserts weep, and some Norwegian food products. There are antioxidant-enriched smoothies, cold pressed juices and some really good coffee as well. 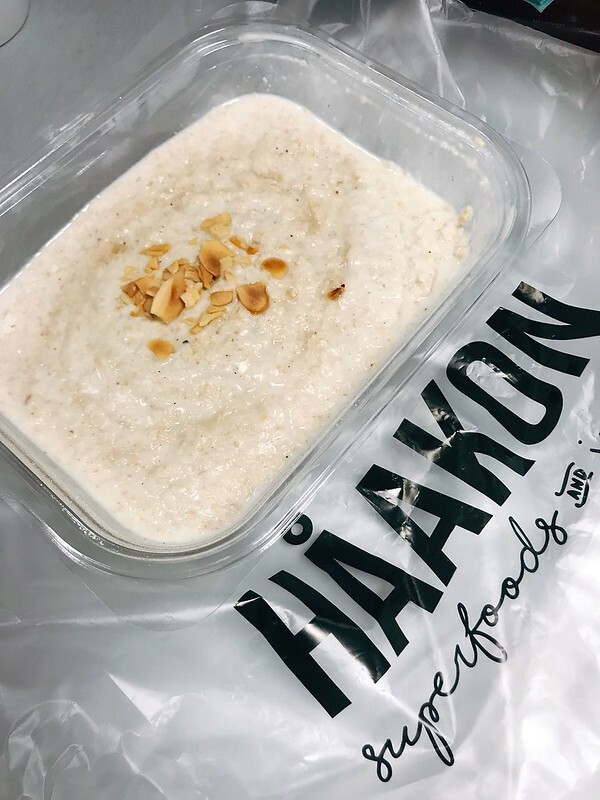 Håakon is actually a homegrown brand started by Andreas Dale and his cardiologist wife Laureen. They both wanted to create fresh and nutritious food that didn't compromise on taste. I got to meet Andreas via an old friend. It was surreal listening to this half-Norwegian speak completely like a local Singaporean. He spent most of his years growing up here and he's even done national service or NS. It was sweet to know he came back to Singapore after his studies to be with Laureen. I think they have a lovely aim and the Håakon brand seems to be doing well. They've just opened their fourth outlet in two years or so. It's not all measly salads when you're talking about healthier choices. 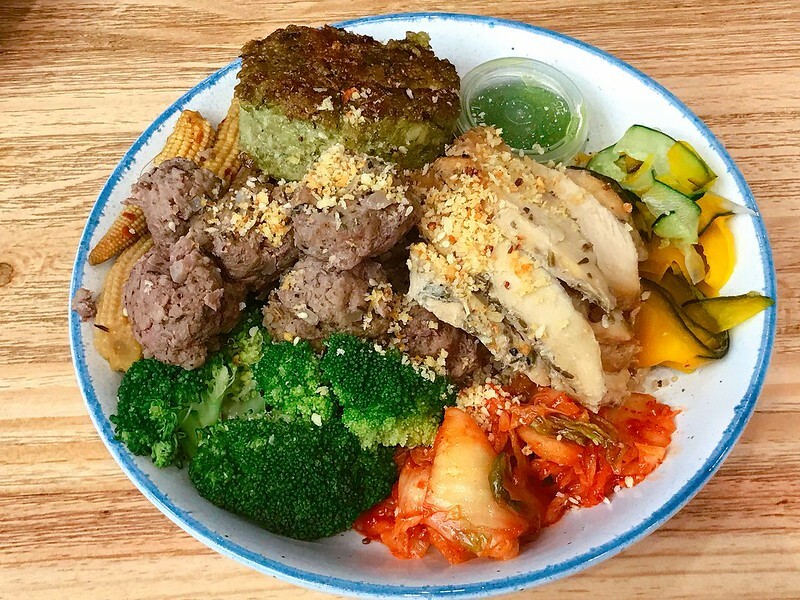 This is the hefty Protein Platter (S$18.90) with steak, chicken breast, dory fillet, scrambled egg, charred broccoli, sweet potatoes, and salad. That's over 70g of protein that even Dwayne "The Rock" Johnson might approve of! The steak could do with more seasoning though. The dish in the first photo is one of their popular choices too. 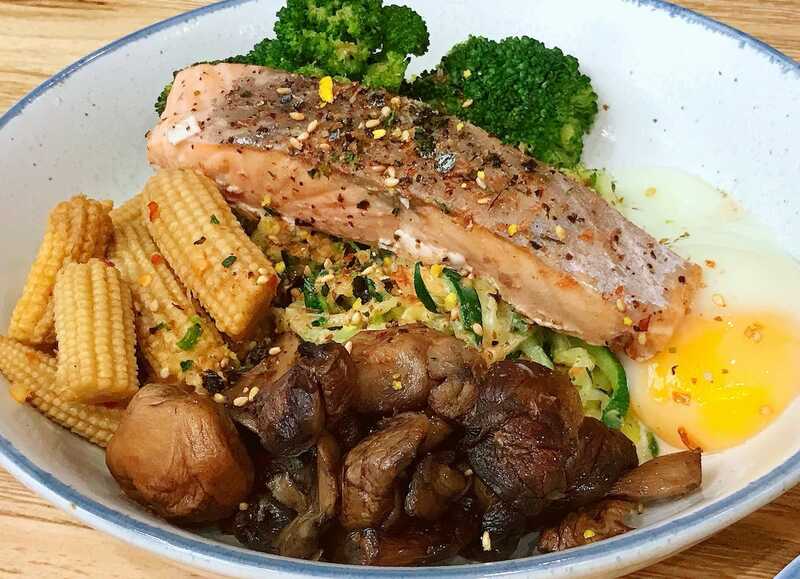 Salmon Zoodles (S$13.90) with low-carb zucchini noodles topped with a grilled salmon fillet, broccoli, mushrooms and an onsen egg. I especially love that the sauteed baby corn is spicy! 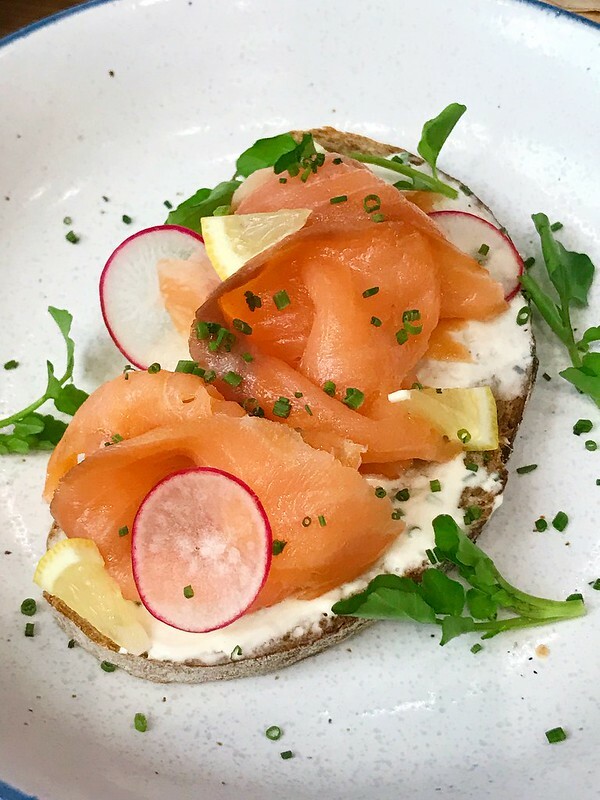 Lighter options include the Smørrebrød, those open-faced sandwiches that are now way more elaborate than smør (butter) and brød (bread). There are eight different toppings, such as crowd pleasers like Smoked Salmon and Cream Cheese (top). 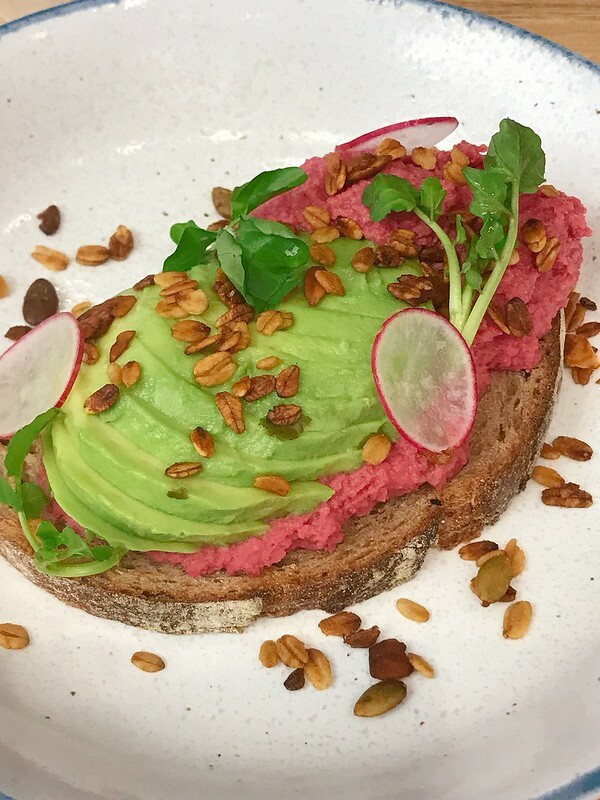 The Avocado & Hummus (bottom) features a beetroot hummus that's delightfully pink. While creamy and refreshing, this vegan combination could do with savoury or tangy accents as the beetroot earthiness can be a little strong for some. If you ever feel like something warm and soothing to start your day, consider the Nordic Porridge (S$8.90) lightly perfumed with cinnamon. I'm not usually one for oatmeal but this one was really smooth and comforting. 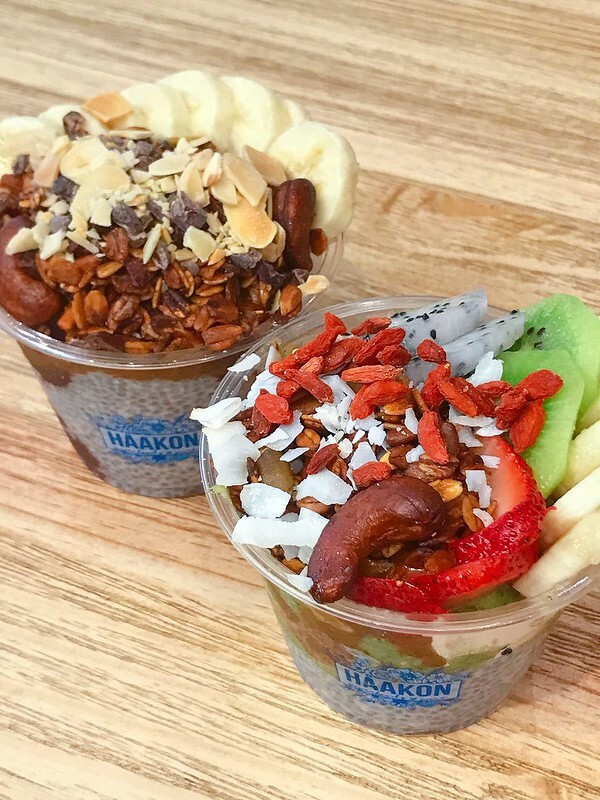 The Acai Bowls (S$7.90 small, S$12.90 large) will probably do you more good than most desserts like cake and ice cream. Treat yourself to antioxidant rich ingredients like acai, cocoa nibs, chia seeds, maca, and spirulina on top of fruit, nut butters and granola. I like them all, but the Lean & Green (right, topped with goji berries) is surprisingly delicious even with spinach in its base! The cold pressed juices (S$5.50 small, S$6.50 large) come in four varieties. This is the Summer Cooler, with watermelon and mint in coconut water. There's also Green Goddess (celery, spinach, green apple and cucumber), The Kensington (carrot, apple, mango, ginger) and the Acai Detox (organic acai, apple, coconut water and blueberries). There are also four smoothies to choose from. I couldn't resist the Mjölnir! My kids call Chris Hemsworth "daddy!" every time they pass by his poster. Yeah, we read and watch too much Thor. 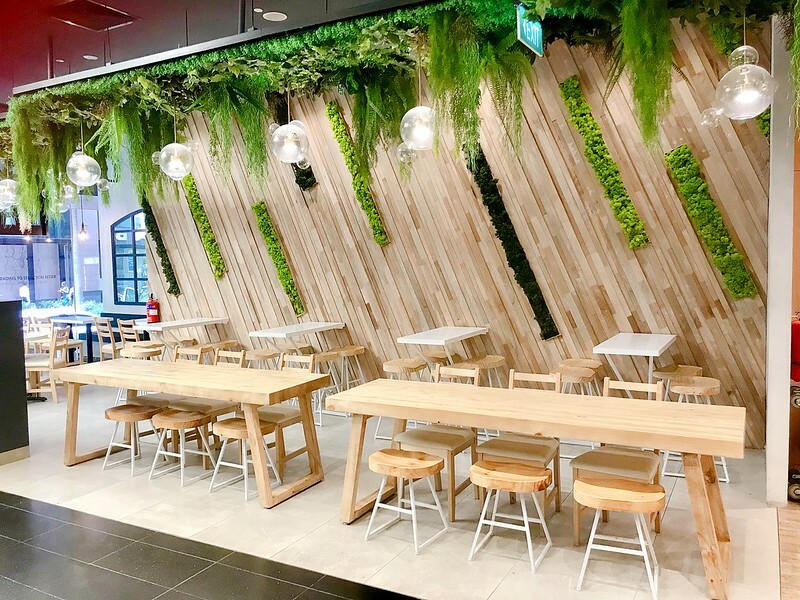 The Scandinavian theme is echoed in their decor: the birch panels and touch of nature from the plants; they befit the concept of offering nourishing food and drink in a warm and welcoming environment. While I'll still go for my occasional char kway teow and cheeseburger, I'll also happily come here for a tasty clean meal. 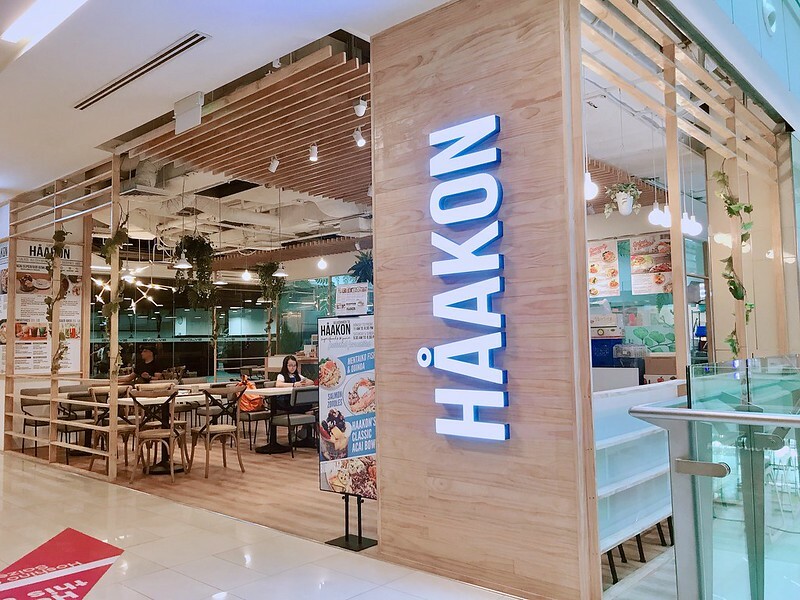 You can find Håakon in four different locations.